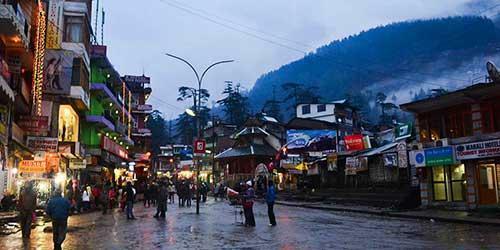 Manali is truly an exotic weekend destination where one can contrast a cultural experience along with adventure. We understand that weekend holidays are the breathe when routine life chokes the energy within you. Our Manali weekend tour is harmoniously crafted so that one would not be seeking exhaustive travelling and may get rejuvenate. This four day package covers beguiling Manali and enthralling Solang Valley. After your arrival at Delhi you will be welcomed by Himalayan Mysteries representative and you will be driven to Manali. The journey will take you through the picturesque views and mesmerizing dales. Upon your arrival, you will be assisted to check in at hotel the rest of the day is to explore around on your own. Your Dinner and overnight stay will be in the hotel. Enjoy scrumptious breakfast and after freshen up proceed for sightseeing in Manali including Hadimba Devi temple- dedicated to Goddess Hadimba, Vashisht Temple - meditation place of Maharishi Vashisht, Tibetan Monastery and Club house where you can indulge in some adventurous activities such as skating, swings etc. In evening you can explore the place at your own, if desire so. Enjoy a delectable dinner and comfortable overnight stay at Manali. Beautiful day starts with the lip smacking breakfast. Post breakfast proceed to the famous Solang Valley which is a must visit place for adventure enthusiasts. Quench yourself in the activities like Parachuting, Paragliding and horse riding or driving in open jeeps. 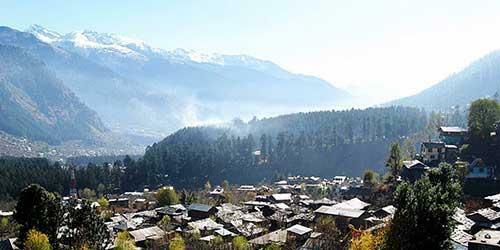 It is one of the most vibrant and enjoyable places in Manali, there is no way one can possibly miss this valley. Later in the evening head back to hotel for stay overnight after a delicious dinner. Enjoy the breakfast at the hotel and check out. 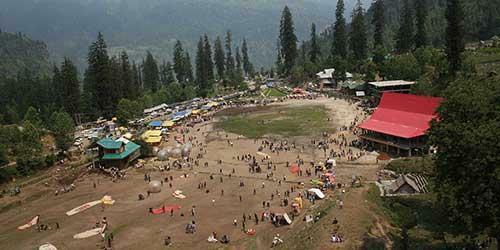 You can visit local markets of Manali. Reach at boarding point i.e. Private bus stand by 4 pm, from there Volvo takes back you to starting destination Delhi. 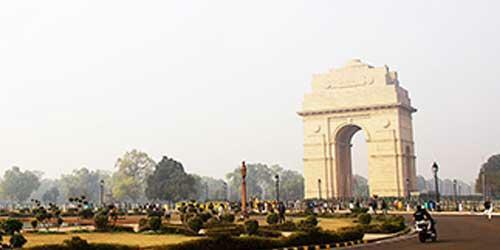 You may proceed to your onward journey upon reaching Delhi. Thus, this weekend trip comes to an end and we sincerely hope it creates memories that would be worth cherishing forever. 9 AM - 6 pm Monday to Saturday.